Do you guys like cacao nibs? In medium large bowl, mix all other dry ingredients til well combined. In small separate bowl, mix together coconut oil and cashew butter then combine with dry ingredients. Add water til oatmeal softens and becomes a consistency where you can form balls. 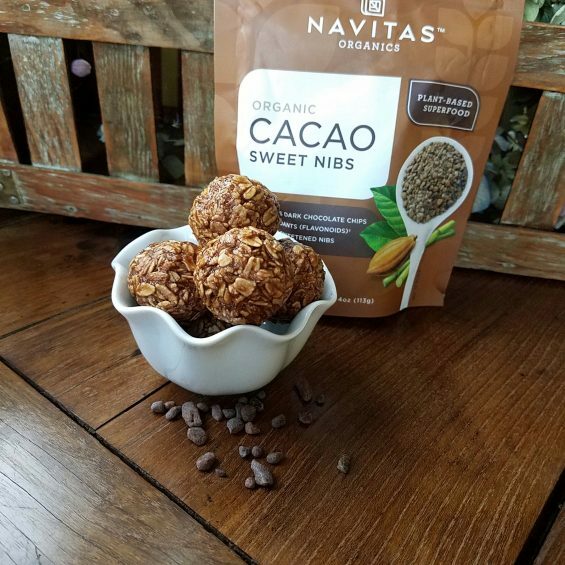 Stick a few cacao nibs onto each ball as you enjoy! 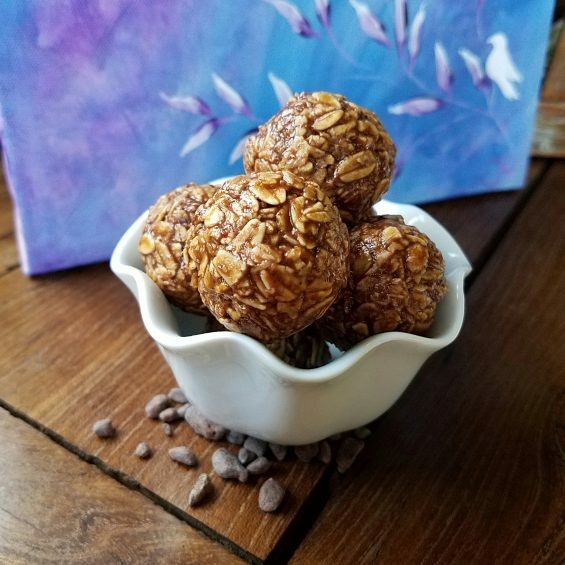 *Tip: Mini balls that you can pop into your mouth in 1 delicious bite are fun. Press mixture firmly into tablespoon, then slide it out with your thumb and divide in half, rolling between palms into balls. Yum!